A special thank you for all your comments this past week on my nature shots. In my book, the best thing about taking a photo is sharing it with friends, and I certainly consider you guys friends. I really do appreciate that you take a few minutes out of your day to check out my daily photo. And, I get a lot of joy out of your feedback. I was back at my favorite swamp spot yesterday, and this dragonfly caught my attention. I was zoomed all the way in at just about 3' away for this shot. Although I have a beautiful full wing shot, this particular species has appeared like that in my dailies before, and I thought the detail on the eyes and legs especially in larger sizes was really worth focusing on this time around. I just couldn't help but also post this shot today. wow, beautiful details! well done. Great Dragonflys and Butterflys this past week. 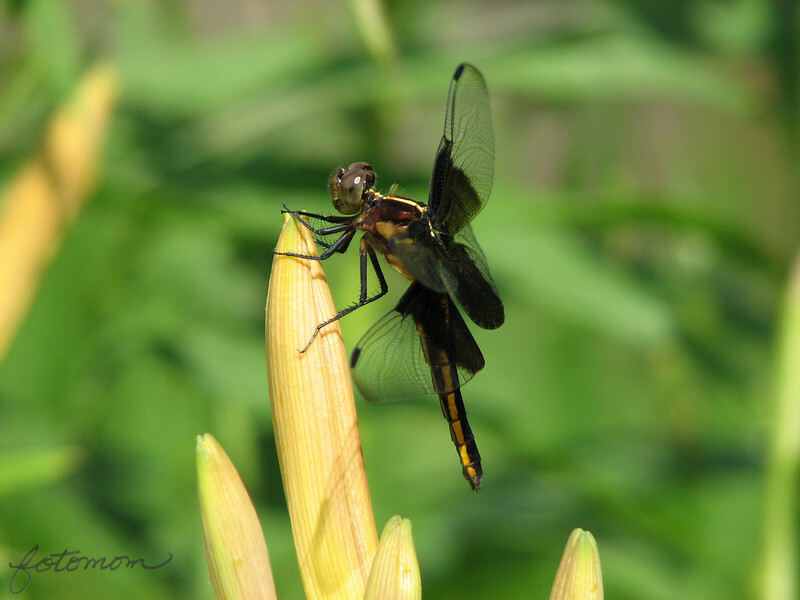 Another fantastic capture...you certainly have mastered capturing the elusive dragonfly! Fantastic catch and great details! The eye especially! Great details especially in the legs and head. Wow, super detail shot! I went to a park and I saw a female of this species. But I could't take good photos like this. Outstanding shot! great detail. i think i need to find a swamp spot! love these dragonfly shots the past few days! thanks for sharing. have a wonderful week!